Individual sunscreen packs are handy for people on the go, or in survival situations. The included towelette is handy to wipe the residue from your hands. 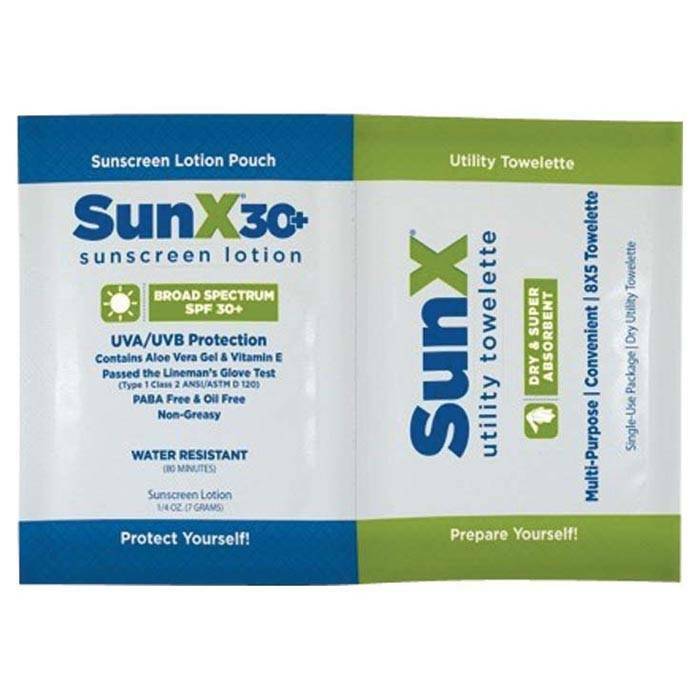 Sun-X Multi-Purpose Pack contains 1 single use of Sun-X SPF 30 Broad Spectrum Sunscreen Lotion & 1 single use Sun-X Utility Towelette. UVA/UVB Protection. Sweat & water resistant (80 minutes). PABA & oil Free. Contains Aloe Vera gel and Vitamin E. Cedar Fragrance discourages insects.